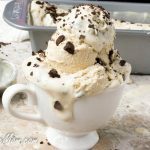 Creamy Keto, Low Carb, Sugar-Free Cookies and Cream Ice Cream is a must make this Summer! 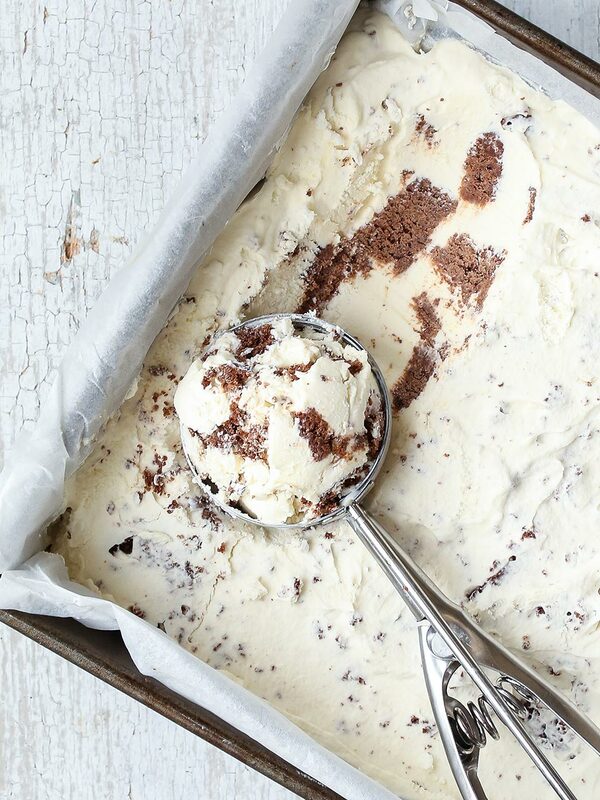 This keto cookies & cream ice cream is smooth, creamy, and airy. 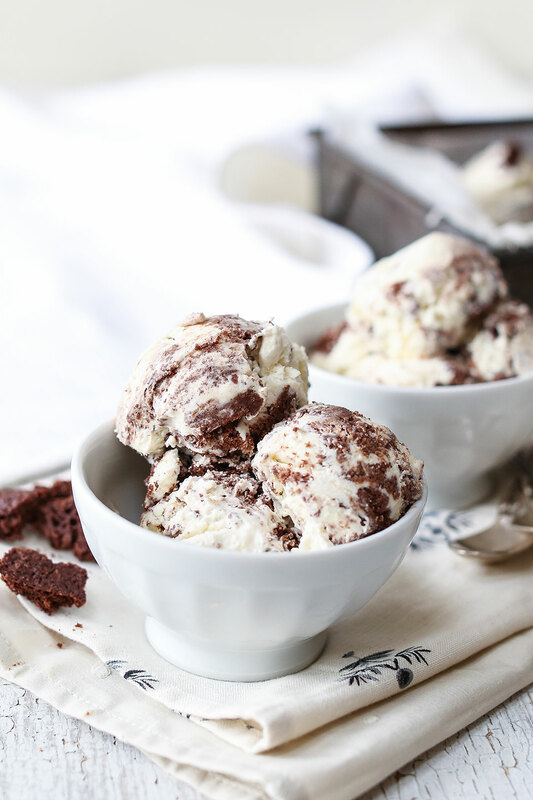 You can easily make it at home and get soft ice cream with tons of air incorporated even without churning – no ice cream maker required! 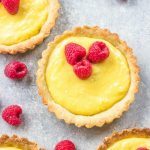 Please welcome Martina from Ketodiet Blog who has graciously provided this beautiful recipe today while I am traveling with my family on our Cross Country Trip! 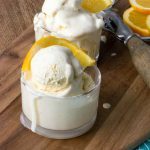 Most no-churn ice cream recipes call for sweetened condensed milk, which is a no-no if you follow a healthy low-carb diet. Instead I used homemade condensed coconut milk sweetened with Erythritol. It works just like regular condensed milk and tastes fantastic. 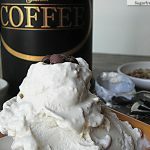 If you prefer a more classic flavor with minimum preparation, try my No-Churn Vanilla Ice-Cream. 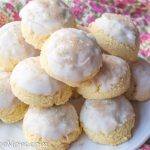 It’s made with just five basic ingredients and you won’t need the to prepare any condensed milk or cookies. 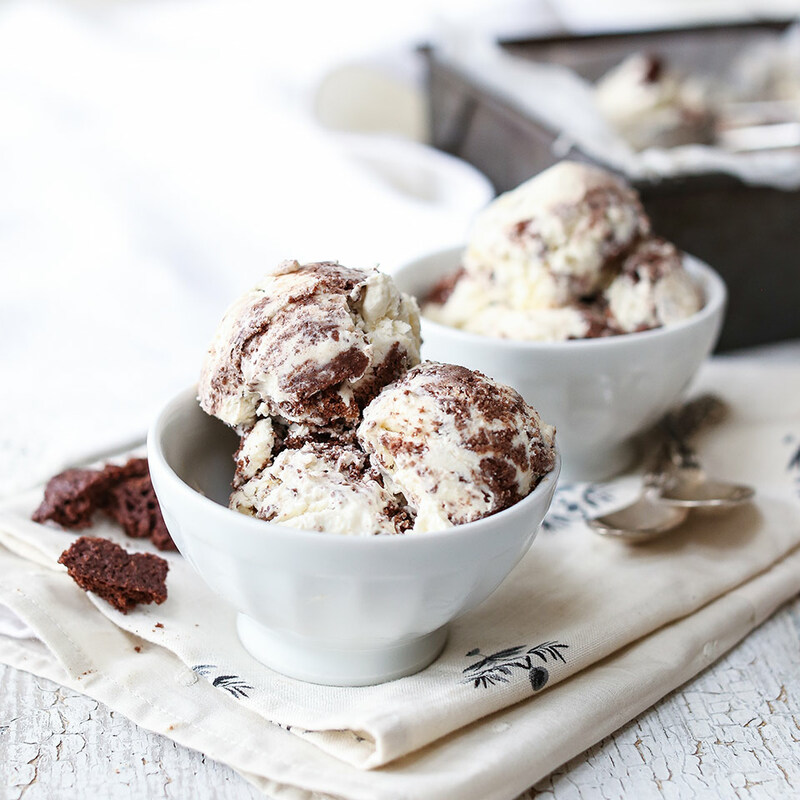 Here are some other Ice Cream Recipes from Brenda you might enjoy! Enjoy this luscious ice cream! Pour the coconut milk in a pot. Bring to a boil over a medium-high heat. Once it starts simmering, turn the heat down to low. Reduce the coconut milk to about half of the volume. This will take 40-50 minutes. Once reduced, take off the heat and add Erythritol. 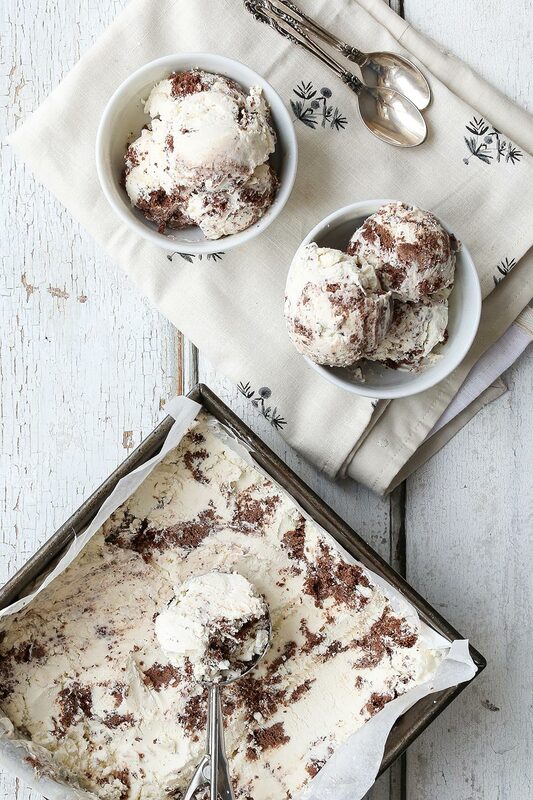 Pour in a mixing bowl and set aside to cool down to room temperature. While you prepare the condensed milk, make the chocolate cookie. Preheat the oven to 300 F / 150 C. Place the almond flour, cacao powder, Erythritol, baking powder and salt into a mixing bowl and combine well. Add the egg and coconut oil and mix with your hands. Place the dough on a sheet of parchment paper, top with another sheet of parchment paper, and roll out, or simply use your hands to flatten it until about 1/4 inch (1/2 cm) thick, to create a large cookie. Transfer to a baking sheet and bake in the oven for 12-15 minutes or until crispy. Let the cookie cool to room temperature. The cookie will be soft at first but will crisp up as it cools down. Once cooled and crisped up, break the cookie into small pieces. Place a large container in the freezer. (I used an 8-inch/ 20 cm square baking dish lined with parchment paper. Any 9-10 cup container will work). In a bowl, whisk the cream until soft peaks form. Be careful not to over whisk it to avoid curdling. Gently fold the whipped cream into the cooled condensed milk. At first, add a few tablespoons to lighten the mixture, and then gently mix in the remaining whipped cream without deflating it. Mix in the cookie pieces (reserve some for topping). 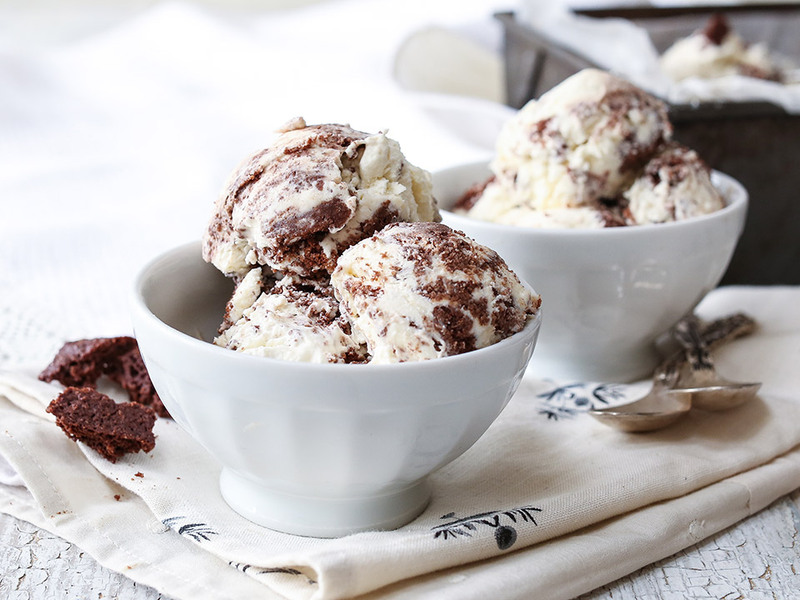 Remove the container from the freezer and spoon in the ice-cream mixture. Top with the reserved cookie pieces. Place in the freezer and freeze for 4-6 hours before serving. Could Stevia be used instead of Erythritol? It seems to not agree w/me. So many low-carb recipes use it, though..Any ideas, anybody? Hi Nancy, yes, you can definitely use stevia instead. Just make sure you only use a small amount – most stevia products are 200-300 times sweeter than sugar. What kind of coconut milk do you use? What is the fat percentage? Wouldn’t it take less time to reduce coconut cream? Hi Terri, I’m afraid almond milk won’t work (it’s almost fat-free) – you will need to use coconut milk or regular dairy cream. Need clarification: The recipe ingredients for the chocolate cookie lists baking powder but the instructions to prepare the chocolate cookie mentions using baking soda and cream of tartar. Hi Theresa, I’m sorry about the confusion. I sometimes use cream of tartar combined with baking soda as a substitute to baking powder. For every teaspoon of baking powder, you can use 1/2 teaspoon of cream of tartar + 1/4 teaspoon of baking soda. Or just use 1 teaspoon of gluten-free baking powder. I hope this helps! We are trying to eat healthier, but we live on social security and cannot afford most of the foods in the recipes. I would appreciate any suggestions. 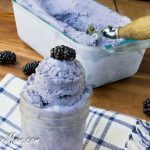 Hi Donna, how about the No-Churn Vanilla Ice-Cream (link is in the post above) – this recipe is simple and only includes a few common ingredients: cream, eggs, sweetener, vanilla. The cream of tartar can be omitted or replaced with apple cider vinegar (used to stabilise the egg whites). Also, you can use other options instead of erythritol (e.g. stevia). I hope this helps! Do you think egg replacer would work with this? 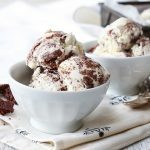 I’m allergic to eggs which makes keto difficult but not impossible but ice cream was my vpcrack and I’d live to find a recipe I could use? Can I use something else in place of the heavy whipping cream? I’m dairy free. Hello, I love these recipes and cant wait to try. Quick question. Why is it you need an ice cream maker for the Strawberry Cheesecake Ice Cream and not the Cookies and Cream… I only ask because I don’t have one, and would like to make the strawberry one tonight…*Yes, I’m addicted to ice cream lol* Can I still make the strawberry one without it??? The cookies and cream was a guest post from another blogger for while I was away on my trip. 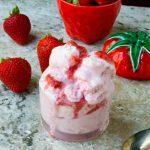 My recipe for the strawberry cheesecake ice cream is with the ice cream machine and I’ve not tried it any other way so i can’t say for certain you’ll have a creamy end product without using an ice cream machine. The serving size is 3.5 grams? That is literally less than a tablespoon. 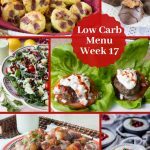 If you actually had a decent amount it wouldn’t be low carb at all. There was a glitch with my new recipe plug in. It converted all my recipes servings grams instead of ounces or cups, etc. It should be 3.5 ounces. 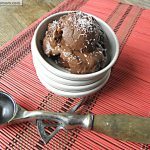 What would I do if I wanted to add protein powder to this recipe and can I use coconut sugar instead? Have you tried using just evaporated milk and erythtritol instead of the condensed milk? Surely not as fancy as making your own condensed milk from coconut milk but it might be cheaper and surely faster if your local store has it on stock. You got me for a minute!! Thank you for making me laugh! In the recipe, you only used half the condensed milk recipe? What’s the other half for? 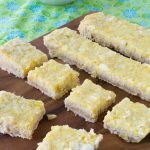 Can I use a combination of Erythritol and Munk Fruit instead of all Erythritol?